Back in August CROCC was featured in The Columbian newspaper. “Outrigger canoe club brings Hawaiian traditions to Northwest” was written by Erik Gundersen and gave a first persons view of paddling. The article also includes information about the club and it’s family feel. Erik produced a short video that has an interview with Doug Keeney, Club President, and footage from Erik’s first paddle with CROCC. 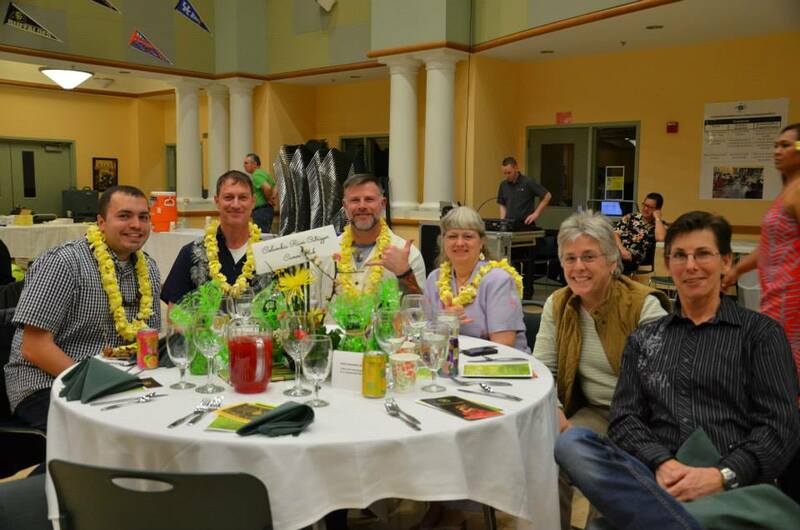 It was with great pleasure that CROCC sponsored a table at the Annual Ke Kukui Foundation (KKF) Fundraising Luau on February 21st. As a Corporate sponsor, the paddlers were greeted in true Hawaiian fashion with hugs and a freshly sewed plumeria lei, as Hawaiian music filled the gymnasium at Thomas Jefferson Middle School. As part of fundraising, the patrons participated in a door prize raffle basket, and vied for several items in the silent auction. CROCC’s fundraising donation basket sold within 30 minutes of the auction’s opening for $150. Also, our own paddler, Liz Nelson, quilted a large Hawaiian themed piece that sold for $250!!! The sit-down dinner was prepared by Hawaiian Café (Vancouver, WA) and served by the dancers of KKF. Then the patrons were treated to an hour long hula show that was choreographed by the matriarch of the school, Aunty Deva Yamashiro. The show commenced with a dance dedicated to Aunty Paulette, who had taught the ancient art of feather making, and whom we lost a couple months ago. The dancers in their white “holoku” gowns gently swayed as they danced with their hand held “kahikis”. 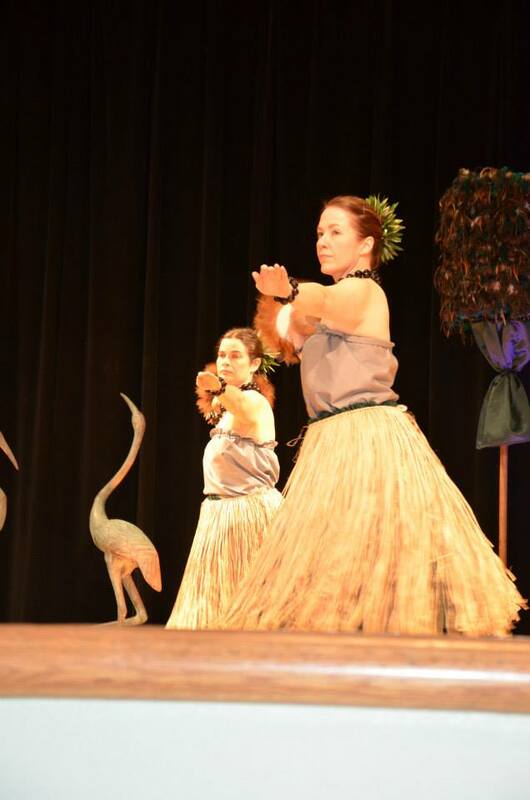 The show included “kahiko” (traditional) and “auana” (modern) style dancing, and even featured the youngest of the dance troupe, the “keikis”. It is worthy to note that the age range of dancers for Ke Kukui is 3 to 83!! The show ended with a trip to Tahiti, where “otea drumming” and vibrantly costumed dancers left the watching audience exhausted just by watching. Back by popular demand, the lively and colorful “Samoan Village” number under the tutelage of Aunty Tula, brought the patrons to their feet. To cap the evening, the audience joined hands in a large circle and sang what has been deemed the Hawaiian anthem, “Hawaii Aloha”. The night was truly the blending of the Polynesian culture and “aloha spirit.” The audience was filled with much love, aloha and peace. We hope you can join us next year. 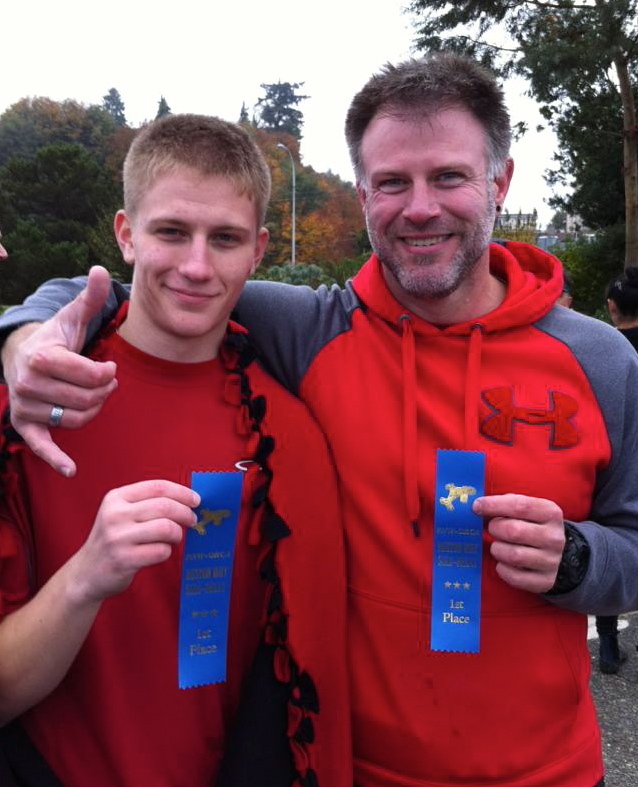 Columbia River Outrigger Canoe Club (CROCC) will be launching the 2014 Junior Division Program for youths between 15 and 20 years of age. This program will follow our current adult curriculum with the addition of sport history, Hawai’ian history, and traditions around outrigger canoeing. Practices start April 9, 2014 at 5:30 PM to 7:30 PM and will be each Wednesday there after. Additional practice will be added as interest or membership grows. If you or your youth are interested in the program or practices please contact Doug Keeney at coaches@croccpaddle.com. Please feel free to check out our website (croccpaddle.com) for more information about the club and utilize the calendar to sign up for practices (junior or open). Remember everyone is welcome to join us for an open paddle practice. CROCC gets some press thanks to Shaley Howard at PQ Monthly! Mahalo Shaley for a great blog post!! Shaley did a great job summing up the essence and heart of the club. Click on the link below and check it out. Mahalo Shaley and PQ Monthly!! Our novice women’s crew is inviting all women that want a supportive environment in competition. The season is starting and we invite you to come and compete as one of the ‘Ohana (family) in our team. If you love the water and want a great workout, we have a sport for you. 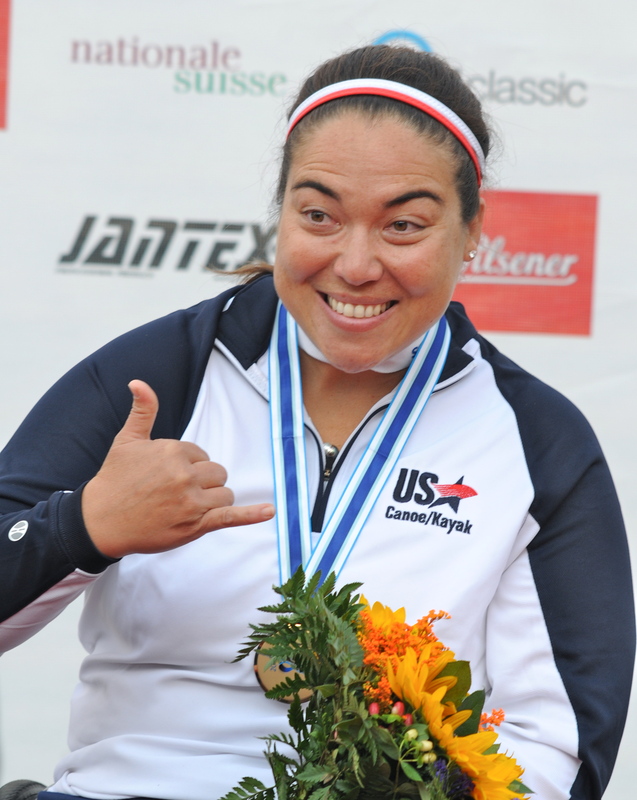 We desire to compete at the highest level of competition in the Hawai’ian sport of canoe paddling. Our team requires commitment, discipline and teamwork, which leads to excellence on and off the water. We paddle as one and win as one. 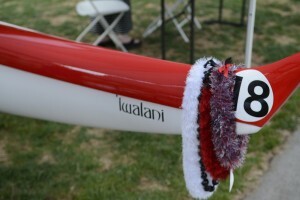 Our mission: To encourage, sustain, and perpetuate outrigger canoe paddling, racing and the related Hawai’ian traditions. We strive to embrace and nurture the community through inclusiveness and all skill levels in order to teach and improve paddling technique and to maximize enjoyment of the sport. We will hold practices throughout the week and as needed during the race season. If you are not ready for the competition, come join our open crew and learn the technique and healing powers of outrigger canoeing. Special thanks to Holly for mentioning CROCC when sharing her workout with The Oregonian newspaper in a series of articles called “My workout”. Holly shared her story about the importance of having a variety of daily exercise as a key to health and vitality. 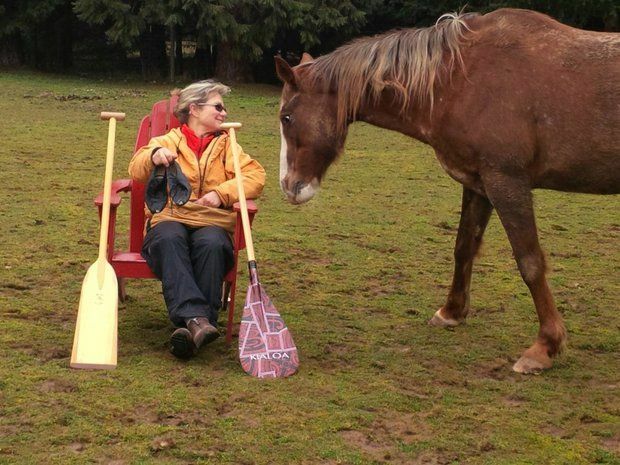 Paddling with Columbia River Outrigger Canoe Club is just a fraction of Holly’s overall routine. Below is a link to the article housed on OregonLive. 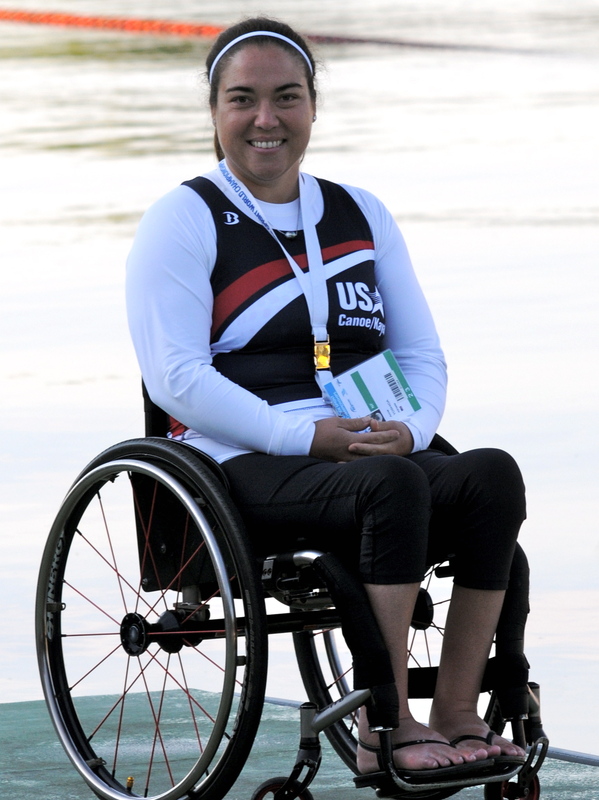 CROCC would like to congratulate Ann Yoshida in her Bronze win at the 2013 International Canoe Federation (ICF) Canoe Sprint World Championships/ Duisburg in the V1 Women 200m (Paracanoe A). We are so glad our team could help along the way! 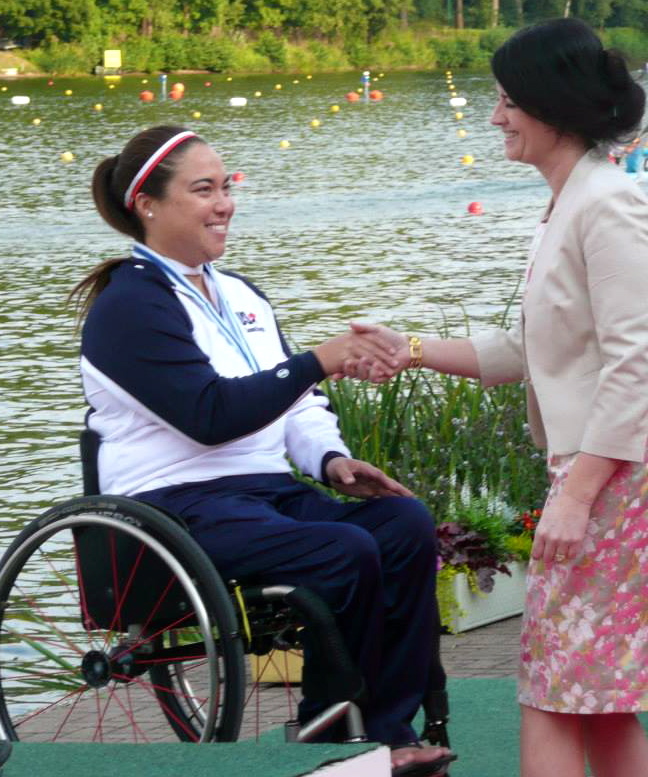 Ann, you are an inspiration to us all! 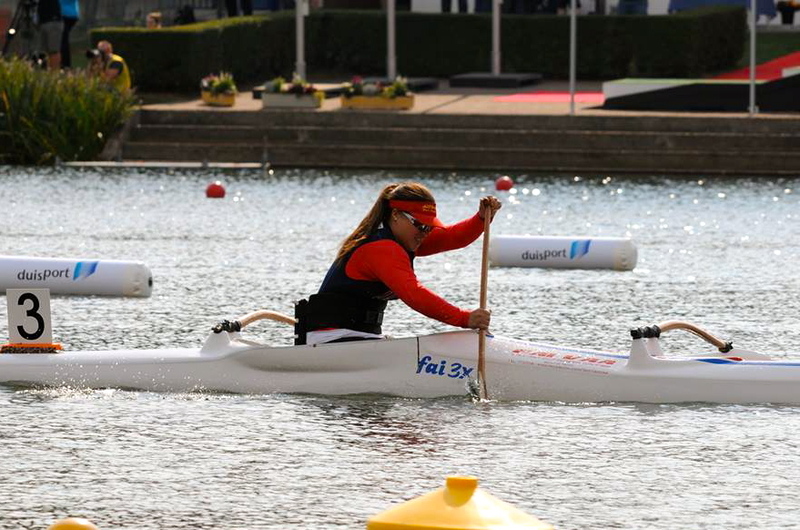 Ann started paddling last year in preparation for the International Va’a Federation (IVF) World Championship in Calgary. Before that she went on a V-6 (OC-6) a few times with Pure Light Racing (http://www.purelightracing.org/) a club that is at the forefront of adaptive outrigger canoe paddling. We would like to extend a big mahalo to Diane Kaydolph-Ray for getting Ann in contact with CROCC so that we could help her out before her competition and bring her into to our Ohana! We are pleased to welcome you to our new and updated website! Not only will we have the standard web pages with static information about us, we have added a blog to let you all know what CROCC is up to. I have taken the opportunity to add in posts from our 2013 race season, activities, and events that CROCC has done through the year. Keep on checking back as we will be updated the Blog with upcoming events, races, gatherings, or other items we feel are important to share. Mahalo for all your support!! Columbia River Outrigger Canoe Club (CROCC) will be launching a Junior Division Program for youths between 15 and 20 years of age. 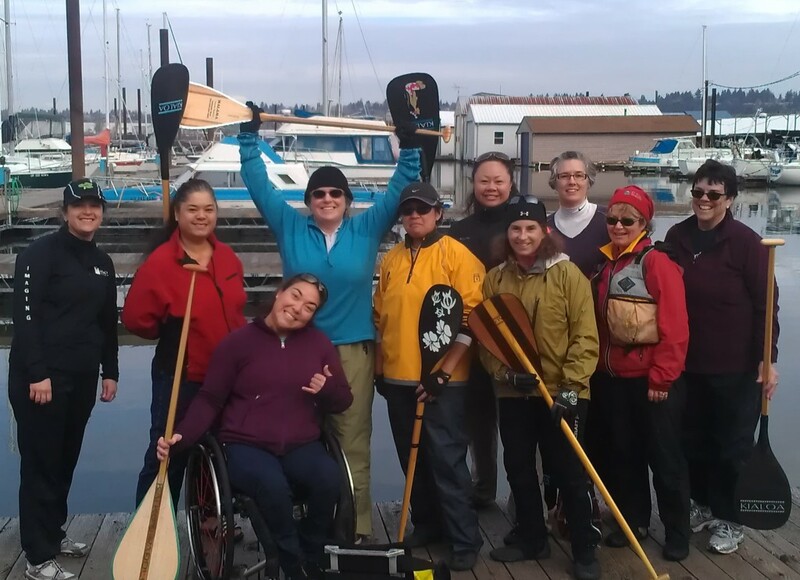 This program will follow our current adult curriculum with the addition of sport history, hawaiian history, and traditions around outrigger canoeing and beyond. Practices start August 14, 2013 at 5:30 PM to 7:30 PM. If you or your youth are interested in the program or practices please contact Doug Keeney at coaches@croccpaddle.com. Please feel free to check the website for more information about the club and utilize the calendar to sign up for practices (junior or open). Remember everyone is welcome to join us for an open paddle practice.